Capital Cooking Equipment designs, engineers and handcrafts high-end cooking appliances for the home chef. Founded in 2001, we pioneered the luxury range industry, and continue to design and handcraft all our equipment in the USA. a team that carries on our founders’ passion for innovation. convection, Power-FLOTM, True Simmer, and easy to clean cast iron grates. 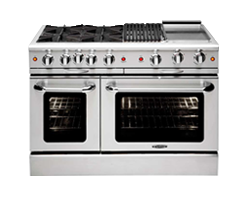 Burners have the searing power and gentle simmer home chefs desire and this all gas range even handles commercial cookie sheets in the 30” oven. 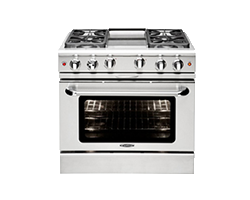 Popular features include: Infrared Broiler, convection bake, and 18,000 BTU BBQ Grill Burner. Precision: Sealed burners, integrated rotisseries, a self-cleaning oven, and multiple configurations make this all gas range the heart of any kitchen. 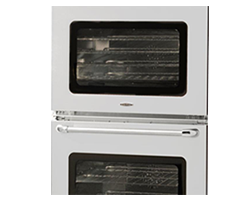 Popular features include: an extra-large convection oven, infrared broiler, True Simmer, BBQ Grill and the Thermo-Griddle. 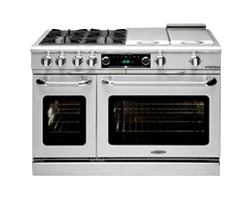 Maestro: Double wall ovens that feature integrated rotisserie and most assist modes, a 5 burner cook top with a 20,000 BTU center burner, and warming drawers to keep your meals piping hot, are the heart of the Maestro line. 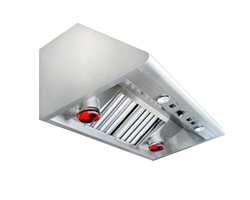 Performance Vent Hoods: Combining the performance of a restaurant quality ventilation hood with the style home chefs desire, the Performance Series hoods feature high output blowers and are available in widths from 30 to 60 inches. 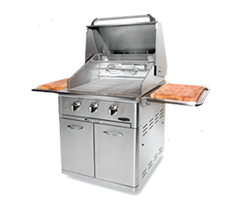 Outdoor: For outdoor kitchens, Capital Cooking has an extensive line of free standing and built-in gas grills available in widths from 26 inches to 52 inches. Popular accessories include optional side burners, warming drawers, cooling drawers, and even cocktail stations. All of the outdoor cooking appliances are proudly made in the USA.